The companies keep an employee handbook and there are varied reasons that why should a company keep employee handbook. To illustrate a few, it helps in informing the employees in doing what is more important and then summarizes the whole choices of the employees. 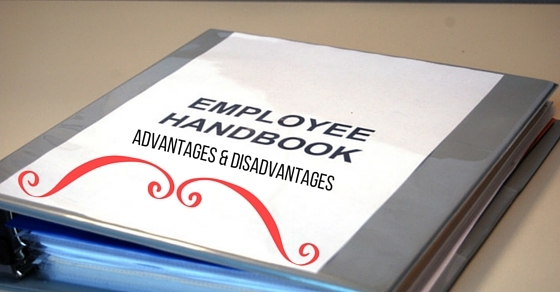 As everything has an advantage as well as disadvantage, the employee handbook also has the same. So, some of them are as follows. The employee’s handbook helps in clear communication. They provide an opportunity to identify the specifications and the employee expectations. Not just this, it also creates a mechanism for the employees to work on the similar lines. Also, it assists in communicating those expectations to the employees. The purpose of an employee handbook helps the employees to work as per the legal obligations. Whether the employees are working as per the required legalities or not, can be judged easily through the employee handbook guidelines, as the handbook contains the legalities and all the legal conditions required. If the companies have to create any new hr policy, it is through a handbook that can be communicated to the employees. So, this is one of the best ways by which the company can communicate the new policies made to the employees in the easiest manner. The policies are made to make the employees lead a healthy environment within the company. Also to make the work environment productive, the policies are communicated by the company among its working members. In order to ensure that the employees work within the similar standards as another do in the company, the handbook is used as one of the modes to communicate. In order to ensure the employees are held to the same standards, it is essential for every company to have employees handbook. The useful information about the company can also be communicated to all the employees. Sometimes, few employees are left ignored and this is not a good sign for the growth of the company. So, to make sure the company does not leave any employee with the important information, every company requires employee handbook guide as it is advantageous than not having the employee handbook. The policies made by the company needs to get feedback also. The feedback is important because it helps the company to know whether the policies made are in favor of the company and the employees or no. If the company wants to know the success of the plans and policies, it is important for the company to keep an employees handbook within the company. The policies and the procedures set for the employees within the company make for the benefit of the company as well as the employees. These are the policies which make up the whole work environment of the company and also sets the tone for the workplace. The good work culture attract more employees and also assist in a healthy work environment. The employee’s handbook also informs the company about the reflection of the employees’ philosophy. With which philosophy the employees work within the organization is one thing that the company needs to know. This is one way by which the company can know what way the employees are doing in the company. The employees can also address their issues through this to the company head. Clearly communicated policies help employees know the internal policies and can also at some time address the issues. Not just this, it helps in addressing the problems of the employees. Also, it assists employees in perceiving that the policies are fair and justified. The policies need to be strictly administered to make them rational enough for both the company as well as the employees. The handbook is the way by which the complaints and the concerns of the employees can also be heard. It provides an internal mechanism for employees to voice the grievances and the concerns. So, this also becomes part of the advantages of employee welfare. All the policies are clearly mentioned in the handbook of the company for the employees. When the employees get to know about all the policies and the rules, their risk of employee lawsuits reduces as the laws and the norms are clearly familiar to the employees. The handbook requires proper regular updating of the policies and the new schemes. If the handbook is not updated, it tends to create the wrong impression among the employees and also among the outsiders. The employee handbook requires time to time updating so that the employees and everyone working in the company knows the changes bought by the higher authorities. The employee handbook requires proper drafting too as it reflects the environment of the workplace. Although it is a difficult process yet it is required as the foundation can only help keep the company policies alive within the work culture. It requires time and energy by the hr or employer to balance the contents on a regular basis which is also a very expensive procedure. The procedure of updating requires a lot of time and energy of the employers. In order to balance the actual expectations and the realities that exist in the workplace is a bit hectic and regular procedure. The changes on the regular basis need to be changed or it may leave an obsolete impression on the outsiders as well as the employees within. The contents of the handbook need to be communicated very clearly and for the same to happen, regular sessions regarding both the contents and the transitions are required. Until and unless the content is clearly communicated, the process might go in vain or will also go against the company’s policies and the rules. The company does not only need to change the content of the employee handbook but also the presentation is a must. The same old handbook cannot be used for as long as ten years by the company. So, in order to make it interesting, the presentation and the design needs to be altered from time to time. The new design will help in creating new opportunities for both the employees as well as the company which is a great positive sign for the company to grow. The employers are required to apply the handbook consistently and are also need of every company as it reflects the company’s work culture through its policies and the cultures. The employers are meant to be held to maintain the standards which are further created in the employee handbook. The handbook creates many preassumptions like the written standards mentioned in the handbook are uniformly applied. What is written in the employee handbook does not necessarily means that it will be applied as written? So, in this manner, it shows that the employee’s handbook also creates illusions or say preassumptions. On these presumptions, only the employees work which also goes against the policies and procedures. So, to prevent that, the employee handbook should not be used. The handbook which is poorly drafted is ignored by the supervisors and the managers. This is because the poorly written handbook does not attract anyone and when it comes to the supervisors or the managers they do not have much time to give a glance at those books. So, if the handbook gets rejected by the managers, then there is no use of showing and expecting employees to perform as per the rules are written in the handbook as the employees would not even follow the rules. When the said things are not fulfilled, the employees make claims of discrimination as the mentioned things in the employee handbook are not fulfilled by the company afterward. So, making high aspirations and attracting employees is one wrong thing. This way the employee handbook is another big disadvantage for the company as well as the employees working for the company. The employee handbook is only considered valuable when discussed with the employees. Not just this, it also needs the time to time approval and must be reviewed to ensure everything complies with the federal and the local employment in the company.